The rate of knowledge is currently doubling every year. IBM predicts this rate of knowledge will soon double every 12 hours.. The rate of knowledge is currently doubling every year. IBM predicts this rate of knowledge will soon double every 12 hours. The data from this knowledge has to be stored, processed and retrieved through or by some mechanism in order for it to be meaningful to our needs. Currently, there is a focus on developing a system that will filter the information that we need from the vast sea of knowledge that we call "big data". As of this date, we still have not found a universal system to effectively filter out the required information from all the background data. It is possible that we may never be able to meet that goal because the quantity of data may be expanding faster than the techniques and technology that we develop. Understanding the technological limitations of trying to filter out unnecessary data from the billions of databases. We can focus our database designs on the datasets that a specific to your needs, such as customer tracking, inventory, and point of sale databases. 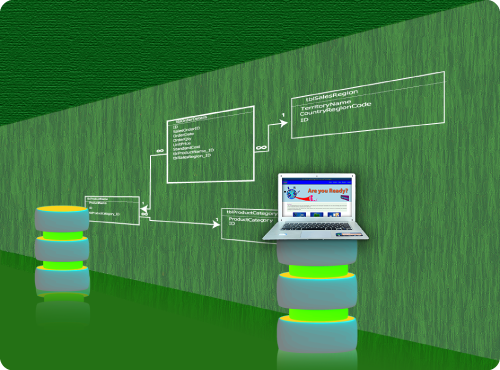 At the design stage, memory consumption, processing time, data redundancy and security are all considerations that are taken into account to produce a lean fast responding database. Whether you are using something simple like Microsoft access, LibraBase, to full-blown Database servers such as Oracle, Microsoft SQL Server or MySQL, we can design and create the database to suit your needs, the needs or your business or the needs of the customer. For more information on how we can create and manage your data please contact us.